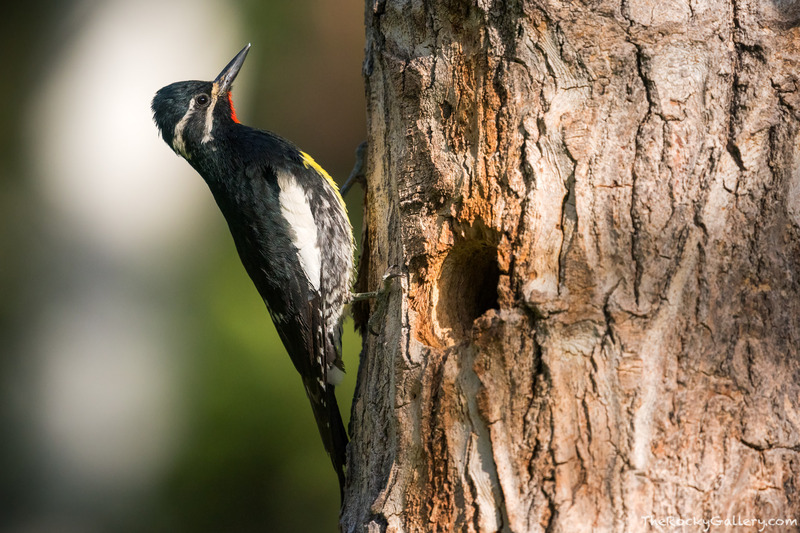 Rocky Mountain National Park is home to four different types of woodpeckers. The Williamson Sapsucker is one of my favorite woodpeckers in found in Rocky and is a little more challenging to photograph than some of the more common species. This day I sat quietly in the forests above Upper Beaver Meadows and watched this pair of Williamson's Sapsuckers feed their young nesting within the cavity of this dead tree. Photo © copyright by Thomas Mangan.